This was the night I was out with some work colleagues and managers and suffered fall as a result of a few seconds blackout...the first time EVER that this had happened to me. Due to the area I was stood in at the time of the fall, my knee took the worst of it and I suffered a TOTAL KNEE DISLOCATION with varying degrees of damage to all 4 ligaments around the knee and the layers between the two bones...I also had a dropped foot and a lot of nerve damage in the lower leg and foot. After being rushed to hospital (on a silly amount of painkillers and Gas & Air) I was told in no uncertain terms this would be "Life Changing for the knee". I also experienced the worst pain I have ever felt in my life when they had to x-ray the knee to get an idea of the damage. This was due to the nature of the dislocation....my thigh bone was in my lower leg and they had to put a wedge UNDER the knee to x-ray! Don't think that is supposed to be there! So I was rushed into straight into theater about 3am to relocate the knee, and I woke up 3hours later with a frame of metal work sticking out of my leg to hold it straight. This would allow the knee to gum back together and the swelling to go down....and hopefully allow some of the ligament to start mending. HOWEVER...what they were most worried about was the artery that sits behind the knee and goes down to the foot. If i had damaged that and lost the blood flow to the foot I could have lost my foot!! But i had faint pulse and warmth in the foot so it was just monitored for the next few weeks. I then spent the next 3 weeks in hospital, what should have been my 1st Christmas and New Year with my Boyfriend...plus his birthday! I spent 6 weeks with the "mechano" in my leg...which everyone seemed to enjoy decorating at Christmas...3 of those were at home sleeping in my living room as my bed was too low for me to use. During this time I had to seriously think about what I would need to do to get by going forward, what I would need to help me get on with life and help me do things I could no longer do easily. My injury is severe enough and uncertain enough in its recovery to mean I am now registered as disabled and have a Blue badge for my car. This whole year I have had to get my head around no longer being able to just do something I wouldn't have even given a 2nd thought about previously. Learning my new limits was easy...my injury let me know what i could and couldn't do now. ACCEPTING my new limitations however was the hardest thing, and was a big cause of a lot of mental and emotional ups and downs, depression and brain wobbles. Once you know your new limits and have accepted them, the next stage was to learn where and when I can/can't push them. Refusing to let this new aspect of my life hold me back from what I want to do. I think a major factor in adopting this mentality was the 5 years I spent in the disabled campsites at Download Festival...noone there let their injuries or illnesses hold them back from doing things (the majority of them much more serious than my stupid knee). So I have everything in place I could possibly need and the only thing that will prevent me from trying to do what I want to do is myself (either my brain or my physical limitations). Without my boyfriend's support, my family and my friends, I honestly don't know how I would have gotten through this year as well as I have so far. My workplace and management have also been amazingly supportive throughout this year, couldn't ask for a better company to work for really. I worked from home a few hours a day from January-June. It was 5 months post injury before I was able to drive again. Once driving I finally went back to work part time. 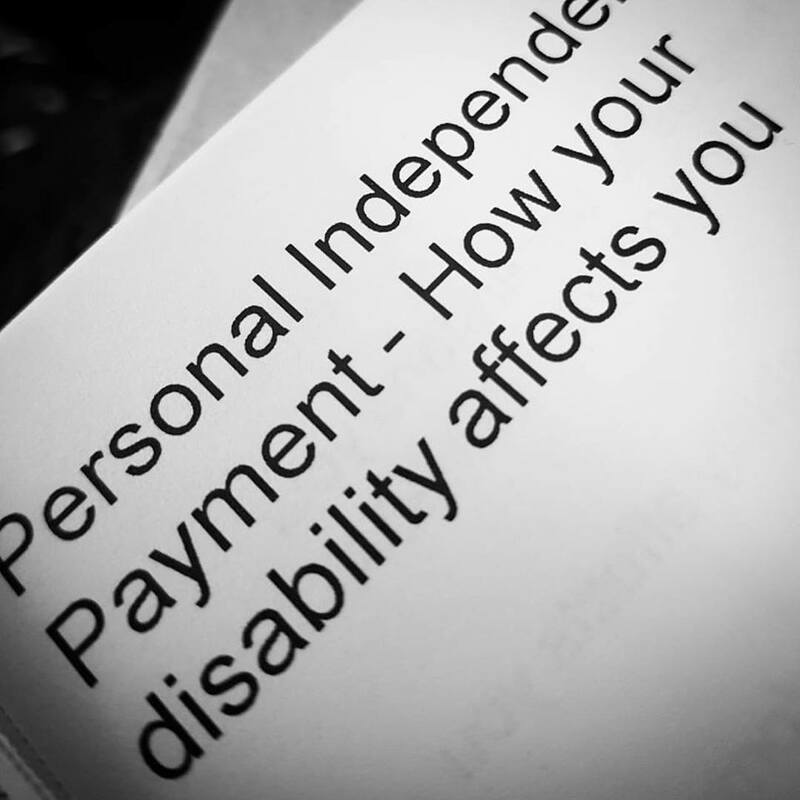 I am now fully registered as Disabled....but I still hope it is just temporary. It was almost 4 months post injury before I got a flicker of movement back into my foot. Now 8 months post injury I have about 90% of the movement back to my foot. I wear a knee brace constantly when I leave the flat or have to stand/clean the flat. I still have to uses a bath stool and rail to help me get into the shower. I use a stool in the kitchen when I can't stand for extended periods of time. I had to use a wheelchair for the first few months of the year with my boyfriend pushing it. I now have a mobility scooter for when I want to go out for a day but can't walk the distances. I had to sell my car (manual) and I bought an Automatic (lucky it is my left leg I can't use)​. I still struggle climbing steps/stairs. I still can't stand for long periods of time. Any kind of walking hurts after a short distance and I struggle so have to rest regularly. My knee aches when I use it a lot and it grinds and "pops" badly. I lost a lot of feeling in my lower leg and foot due to nerve damage...that now has a constant tingling sensation through it but is no longer "dead". Nerve pains are EVIL and can strike at any time...usually when you are trying to sleep! Ligament inside of knee knitted while my leg was pinned. Ligament at the front of the knee has healed up to a degree during the first 7 months. I am still me and haven't had to change too much. I have a lot of independence back once I became mobile again. I have amazing friends, family, work colleagues. I am able to go out places and see things...just research helps me plan better and know my options in advance. I have an amazing boyfriend who moved in with me at the start of the year so he could look after me when I needed him most...we have now been together 14 months. 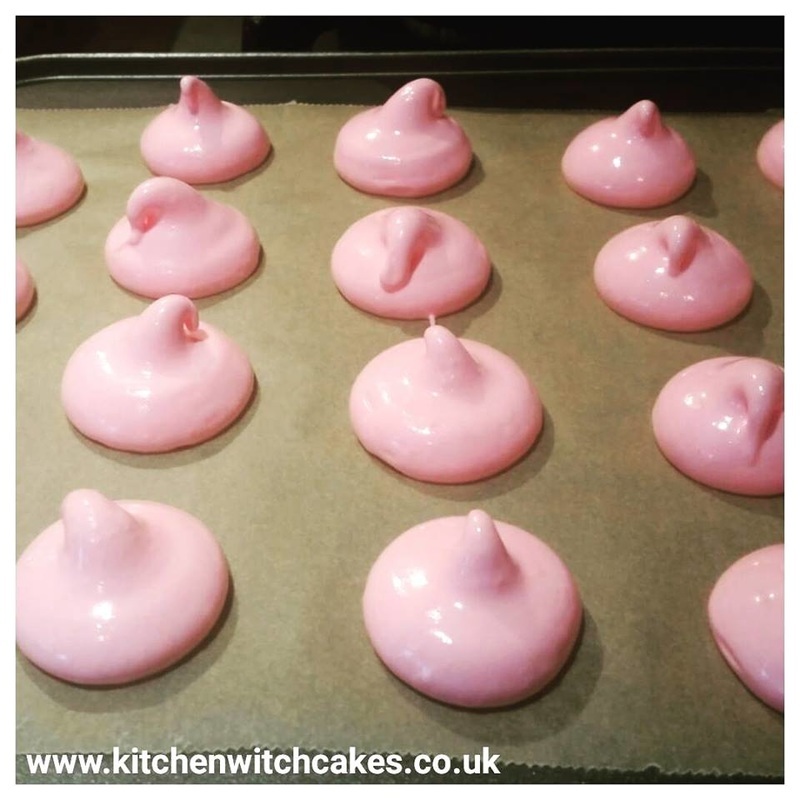 I am now starting to bake again and regaining my love for it and experimenting once more. At the end of July I had my new ink done at Darkside Tattoo in Waterlooville. I chose Polynesian inspired turtle design to cover my upper right arm to mark my journey through this year. As the title suggests, this past weekend I had an order where I needed to make flowers...something I had not yet done without them being a simple cut and press type. 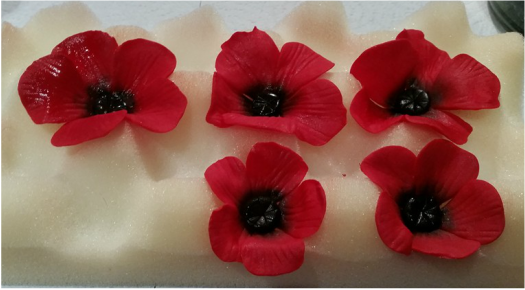 I needed to make poppies! So as any self taught decorator would i started looking on Pinterest at Poppies others had made and on Youtube for video tutorials that would help me with this task. As I only had whatever was in my cutter store to use for the flowers, it was finding the right tutorial and working out the best way to approach it. 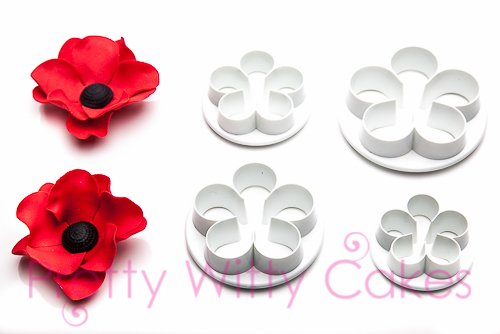 I did however buy the poppy leaf cutters, as the leaf cutters I currently owned were not suitable and i wasn't going to do them all by hand! 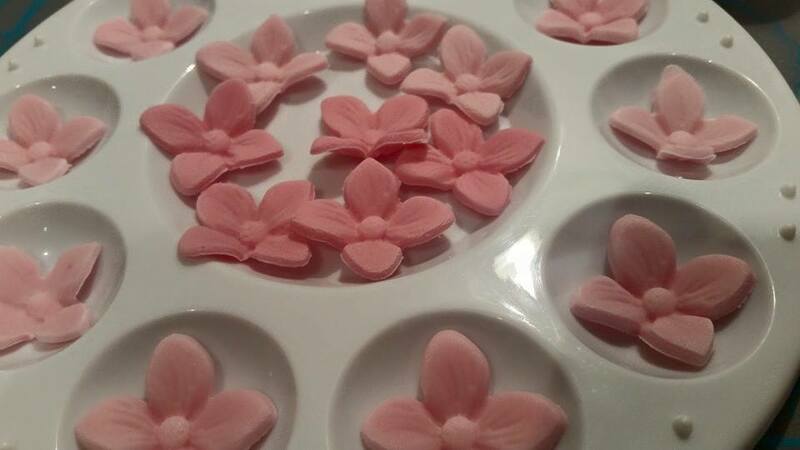 I cut out the flower shape and them using a ball tool I thinned and stretched the petals to the shape I wanted them. As I didn't have a veiner to add texture to the petals I used the Shell modelling tool to created the lines in the petals. 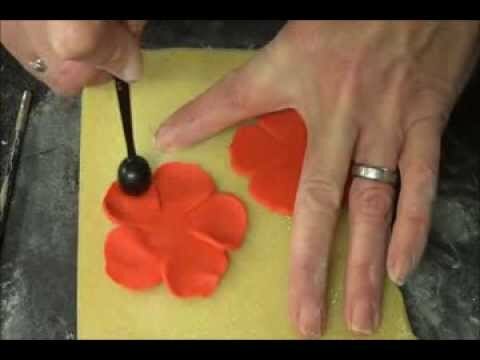 I also added a circle of black fondant to the middle of each flower, indenting the top as it would be on a real flower. 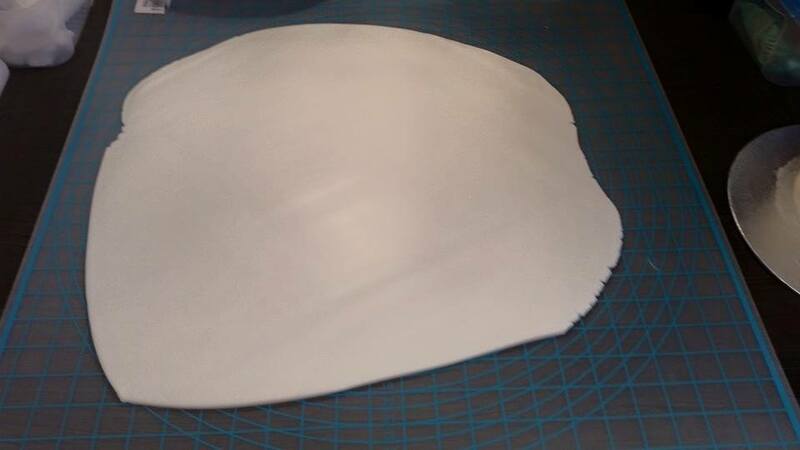 these were then placed onto my foam mat and shaped, where they would then be left overnight to dry. Much better! It is amazing how just something so simple can completely change how something looks. I was much happier with them like this so, i carried on making the rest that would be needed. 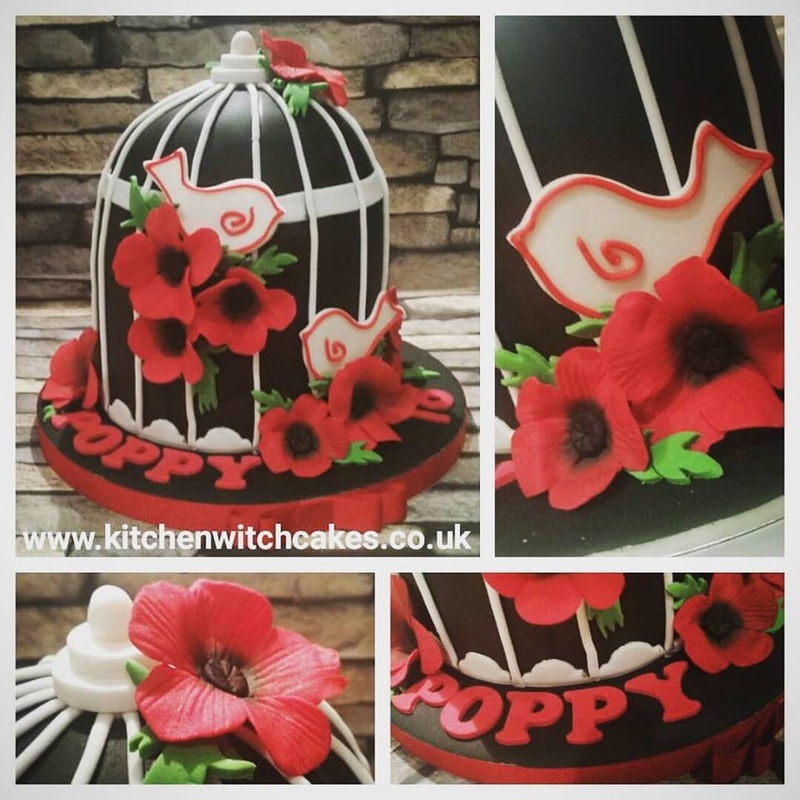 The finished cake was a poppy covered birdcage for an 18th birthday, though it seemed kind of fitting to be making a poppy cake for Remembrance Sunday also. 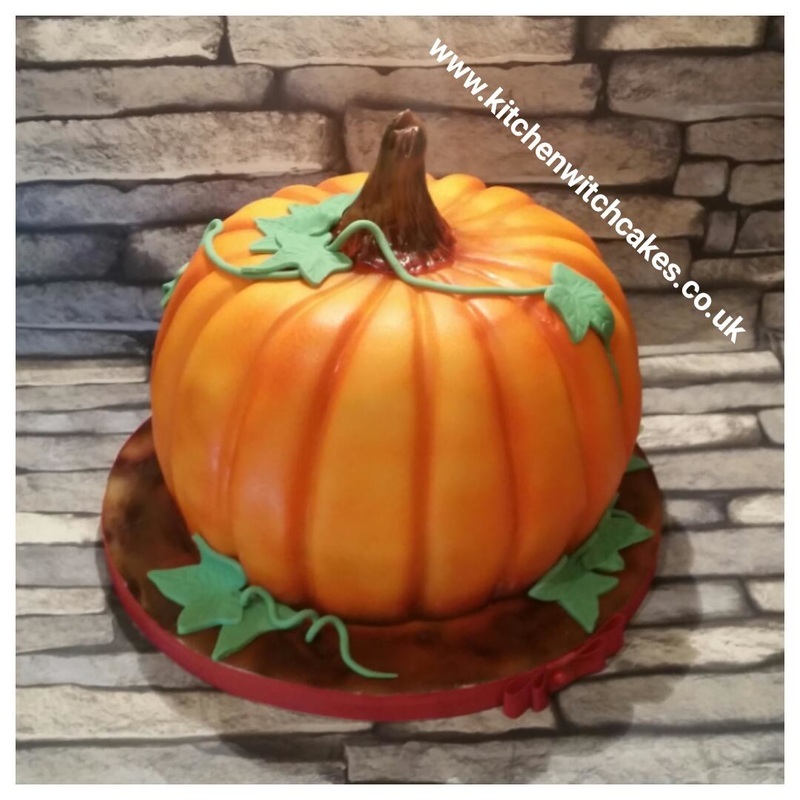 Well....I had a very quiet week leading up to Hallowe'en (for a change) as I had decided not to spam the local selling pages to try and get orders in, this gave me the opportunity to try my hand at a cake I had been wanting to do since last year...a PUMPKIN cake (with or without a face). I had recently purchased myself a bundt tin and was dying to try it out on this design. So I trawled though other cake makers blogs and youtube videos for advice and ideas and then set to work. Having not used bundt tins before I chose to keep the recipe simple (vanilla) so I didn't have to worry about trying to scale it up or down. So I baked a 4 egg mix for each bundt half, then when they were cooled i sliced them in half and sanwiched them together with orange coloured vanilla buttercream and crumbcoated them into a ball shape. 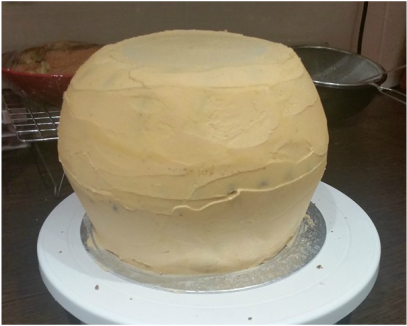 I was being very generous with the amount of buttercream I used in the crumbcoat, as when it comes to molding the pumpkin shape into the fondant it will push the buttercream sideways slightly. 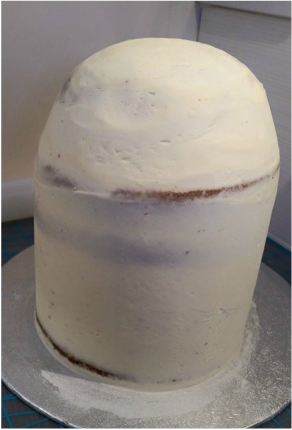 I also wasn't happy with the height of the cake, so I also sliced an extra centimetre off the bottom once the cake was chilled and the buttercream was hard. This gave it a much nicer squat appearance. 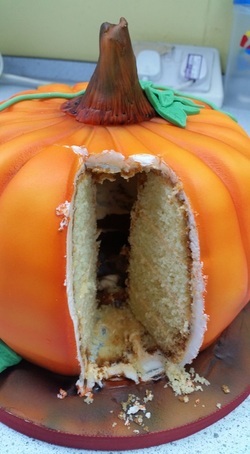 As bundt cakes have the hole in the middle I placed a little 4" cake board over the top of the cake to seal it up, and also applied a thin coat of buttercream to it so it would stick and blend in, this central hole could also be filled with hard shelled sweets like a pinata cake...perfect for the trick or treat theme. 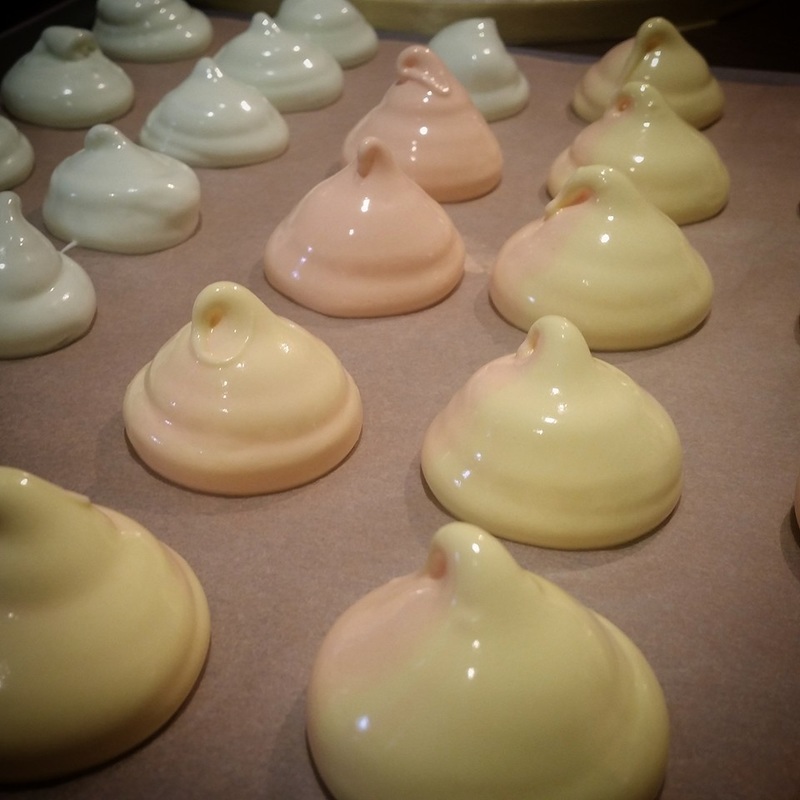 I allowed the buttercream to come back up to room temperature so it would be a little softer for the molding process, and allow the fondant to stick properly. 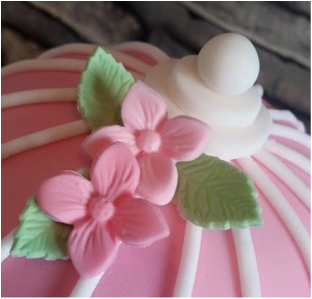 Having never covered a ball shaped cake before it actually took me 2 attempts to get it right, also keeping the fondant a nice thickness so it wouldn't tear when the features were added. I used one of my modelling tools to push down the sides of the pumpkin, these do not have to be at regular intervals so no need to measure, just do whatever looks right. 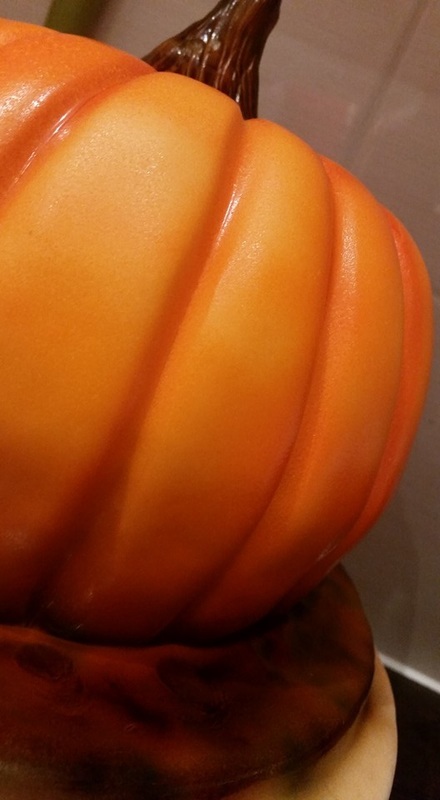 real pumpkins are also full of blemishes so no need to have it completely smooth. I then used my fingers to lightly press and smooth down. 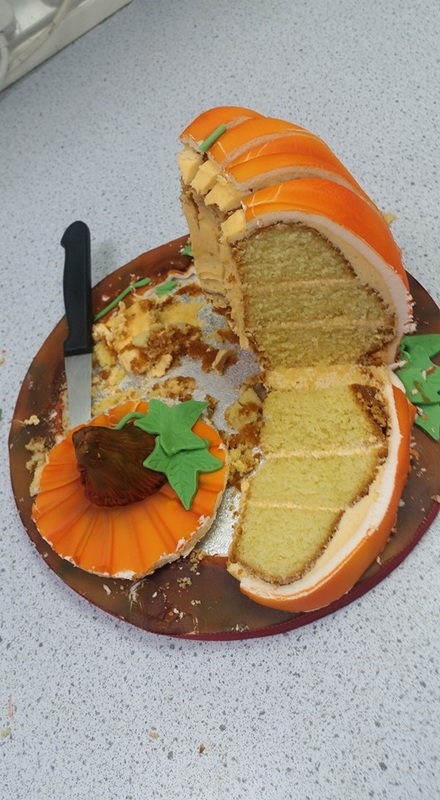 i then rolled out the remaining fondant into a long strip and covered the board, sticking it down with a a little water, I didn't need this to be perfectly smooth as it was going to be a muddy ground so I just ensure it was pushed up against the base of the pumpkin. 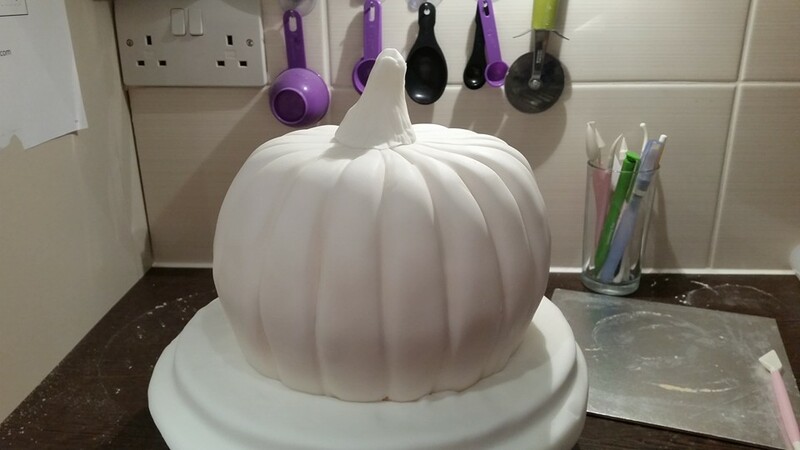 The remaining fondant was shaped into the stem of the pumpkin and fixed centrally onto the top. Again using one of my modelling tools I textured this with a lot of lines, using my real pumpkin as a reference. i then left this overnight to dry out a bit and firm up before I would start airbrushing it. I started by airbrushing the board brown, I kept this as neat as I could up against the pumpkin so there wasn't a lot of overspray, again it didn't have to be perfect as any brown on the bottom edge of the pumpkin would blend into the effect of it being sat in the mud, and the shadowing due to the shape. I also made some areas darker than others, as I would later be blending in black and greens to darken it up a bit. 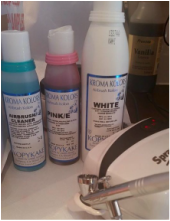 This was a great opportunity to try my hand at mixing different shades. The pumpkin was sprayed straight orange, and i then mixed a drop of brown into the orange to get a darker colour along the grooves and around the base. The stem was then carefully sprayed with the brown, with a little bit of dark green, being careful not to overspray onto the top of the pumpkin. Once complete it was left to dry for an hour or so. Board & Stem: used brown, brown mixed with a drop of black, a dark green (made from blue and yellow). Pumpkin: primarily Orange but also Orange mixed with a drop of brown for the shading in the grooves and around the base. 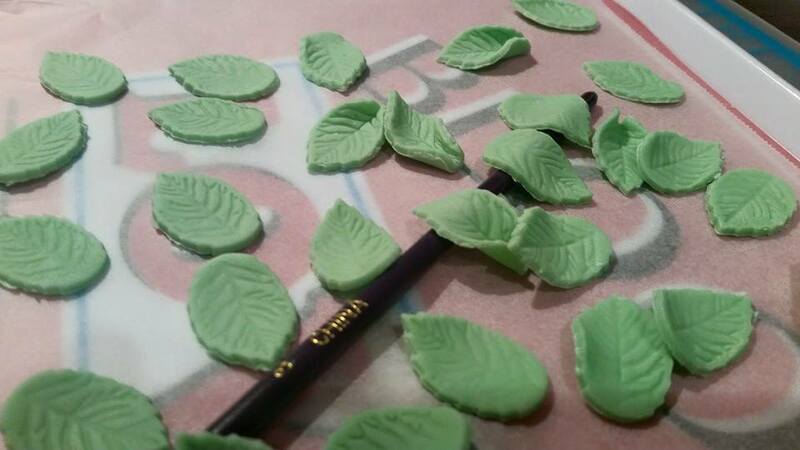 As it is usually the little details which can MAKE a cake, I chose to finish it off with a few leaves and vines made using an ivy leaf cutter and my fondant extruder, placing a few around the base of the stem and on the board. And I know everyone in my office loved it! Not to mention everyone on my Facebook page! 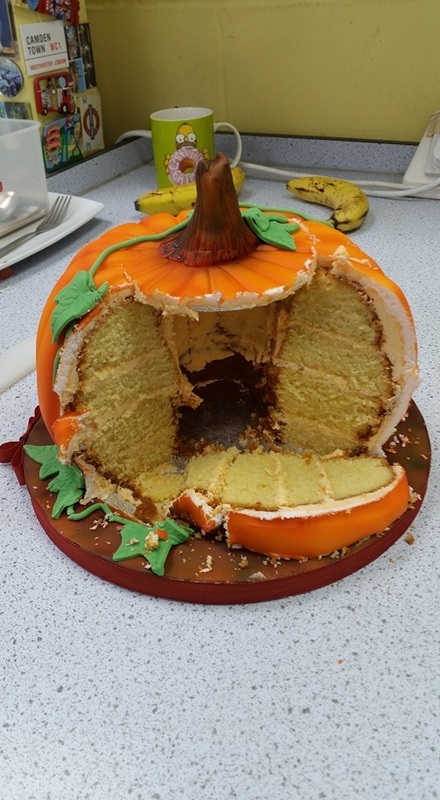 My workplace decided to run its own Bake Off Competition in aid of its BCA breast Cancer charity fund raising. 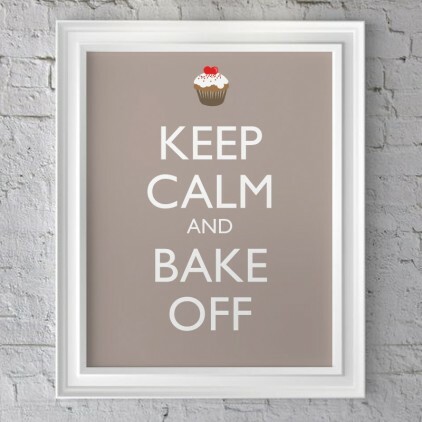 The idea being that each week the bakes would be for sale in the staff canteen where all the employees could vote for their favourite. The GBBO episode would air on the wednesday, and then we would receive our task choices based on what they did in that week's episode. We would then have to bring our bakes in on the Monday morning. Well....this was an interesting number weeks. It gave me a chance to try my hand at things I had never done before (like pastries and breads) and i really enjoyed the challenge each week. Kept this simple and I chose to go with the Black Forest Gateau task...but in cupcake form. So a lovely chocolate sponge, cored and filled with a dark cherry conserve, topped with a kirsch/cherry flavoured buttercream, and decorated with chocolate shavings and a Cherry. ​This week i decided to challenge myself a little and chose to do the biscuit box with a different type of biscuit inside. 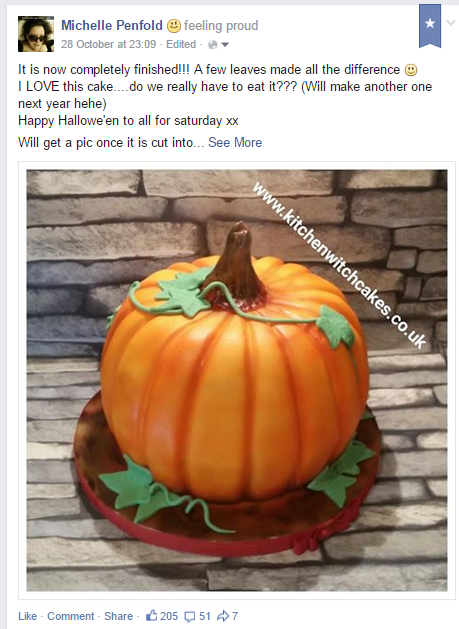 Well...I didn't even bother to take a picture of this weeks entry....a sugar free cake. 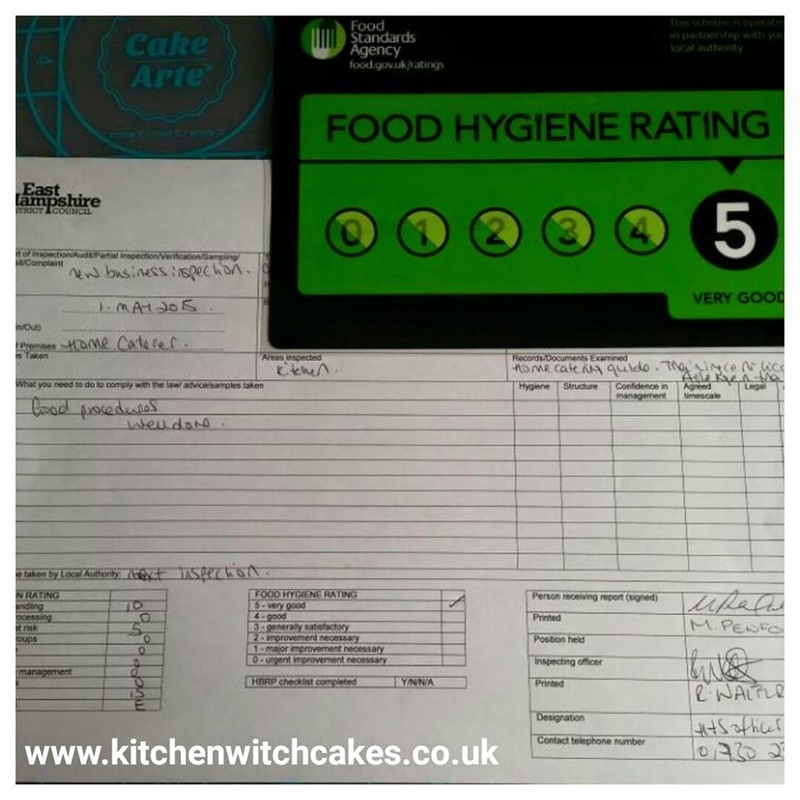 I chose to do a carrot cake which used Agave Syrup as a sugar substitute...definitely not my most successful week. 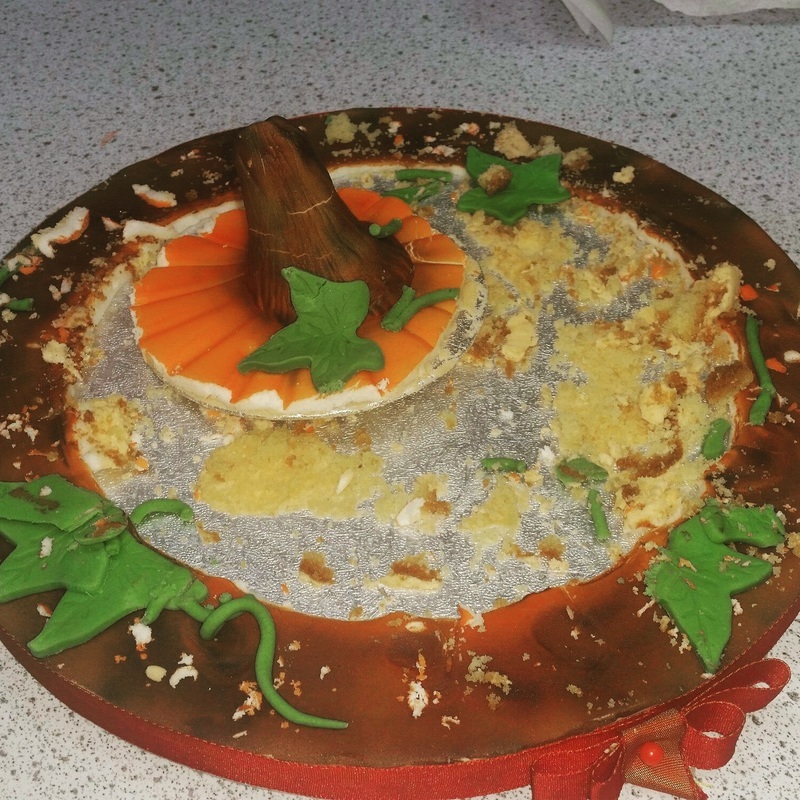 My only consolation was that all the bakers involved seemed to struggle as much as each other for this task. This week I decided to really challenge myself and make the Cypriot Flaounes! And I found an online Greek supermarket that was actually based locally so I was able to easily source the Masticha and Mahlepi spices. A proper Mary Berry Tennis (Fruit) Cake. Not cheap to make once you bought all the different dried fruits...and there was a LOT of fruit in this cake. Another week that wasn't my strong point, and contained a lot of firsts for me. I chose to make Chocolate covered Eclairs filled with a vanilla creme patisserie. 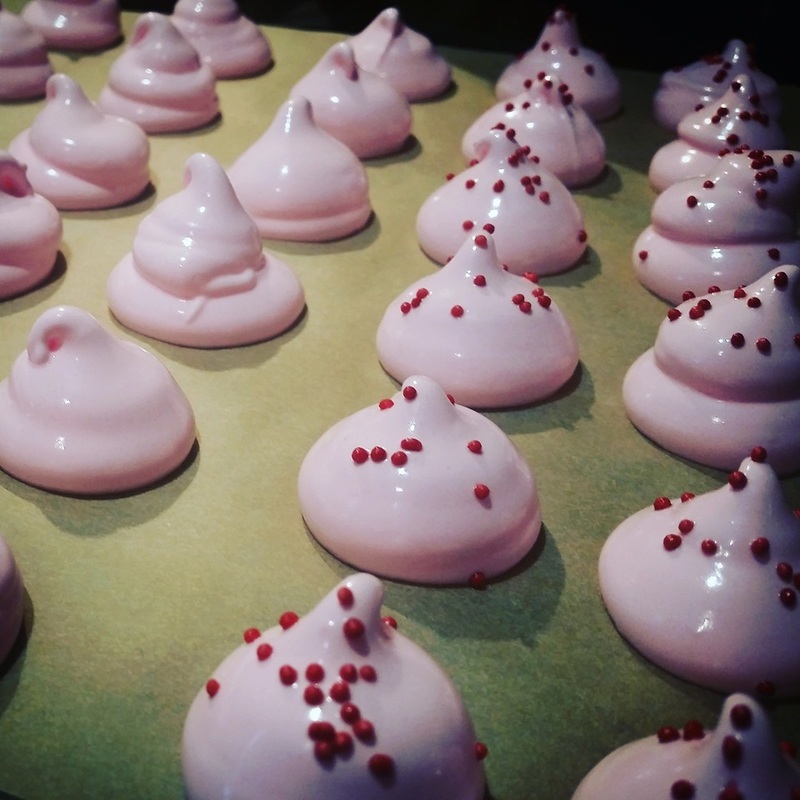 They tasted lovely but the aesthetics of them could definitely be improved. 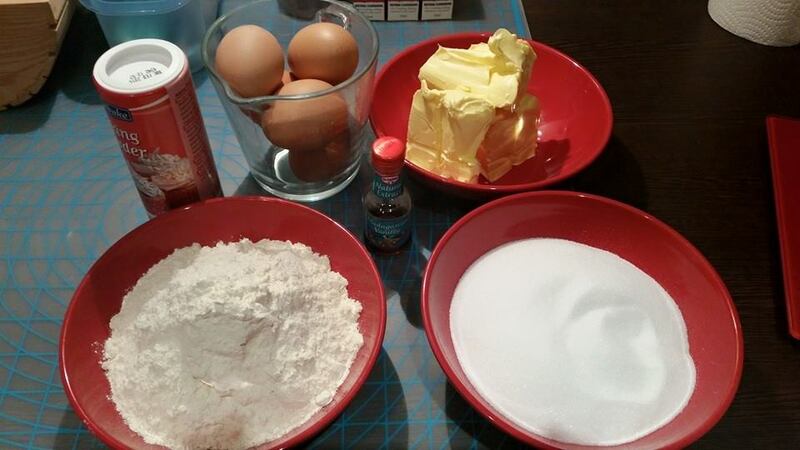 A Classic British Bake...I was torn between what one to do, so I made two cakes and then decided. The first was a classic Nigella recipe I love to use for a Coffee & Walnut Cake, the second was a Bakewell cake. Many people started the competition, but it slowly dwindled down til there was only really 4 of us doing almost every week. With the bakes only being sold at 50p a slice/piece plus the option of adding extra votes for 20p each we managed to raise over £350 for BCA. 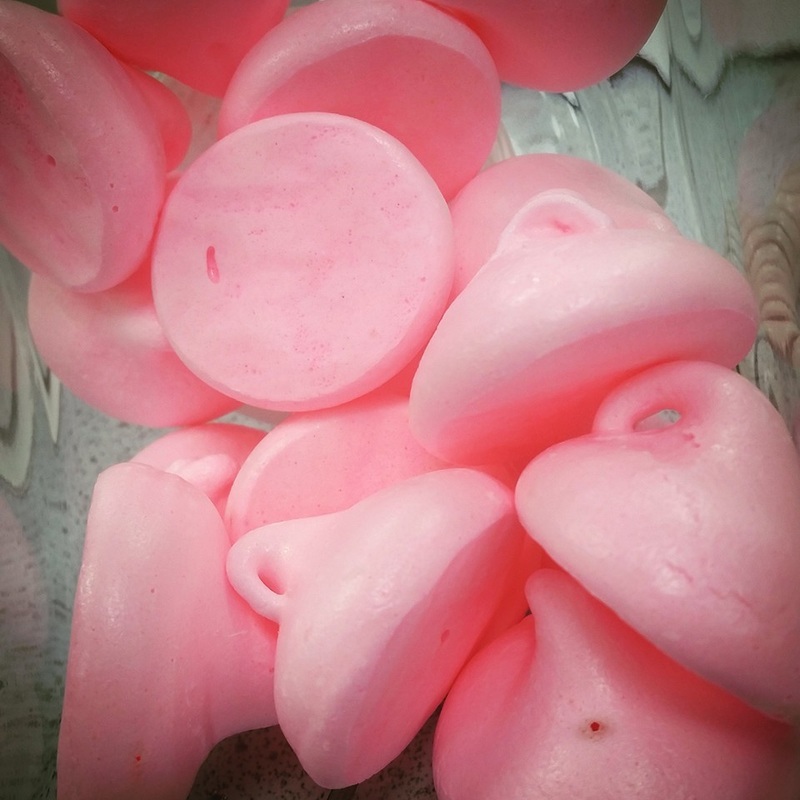 I definitely need to try and update this Blog a little more, Life here at KWC HQ has been pretty hectic recently, but time to start experimenting again properly (between the few orders that I currently get). 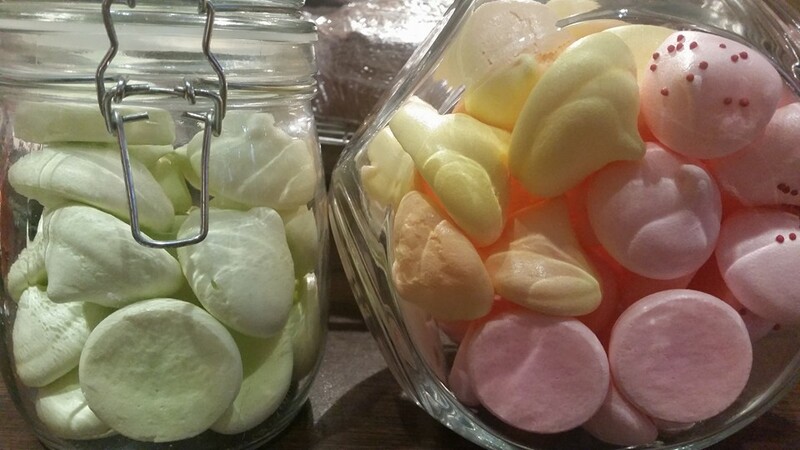 One of my favourite recipes that I have found in recent months is what I now use for my Marshmellow Biscuit Bites. Place the biscuits into a bag and bash the living daylights out of them....or use a food processor if you have one available. In a microwaveable bowl add the marshmellows and butter and nuke on high for a minute or so until the marshmellows have puffed up. Remove from the microwave and stir, this will break the melty marshmellows down and help the butter melt into the mix. Once mixed pour into the prepared tin and flatten down to level out and fill to the corners (I find another piece of clingfilm over the top helps prevent hands being covered in the stickiness). Leave to set on the side or in the fridge (I like to leave it overnight). Drizzle the slab of yumminess with melted chocolate and once the chocolate has set you can slice it up into bars or squares. 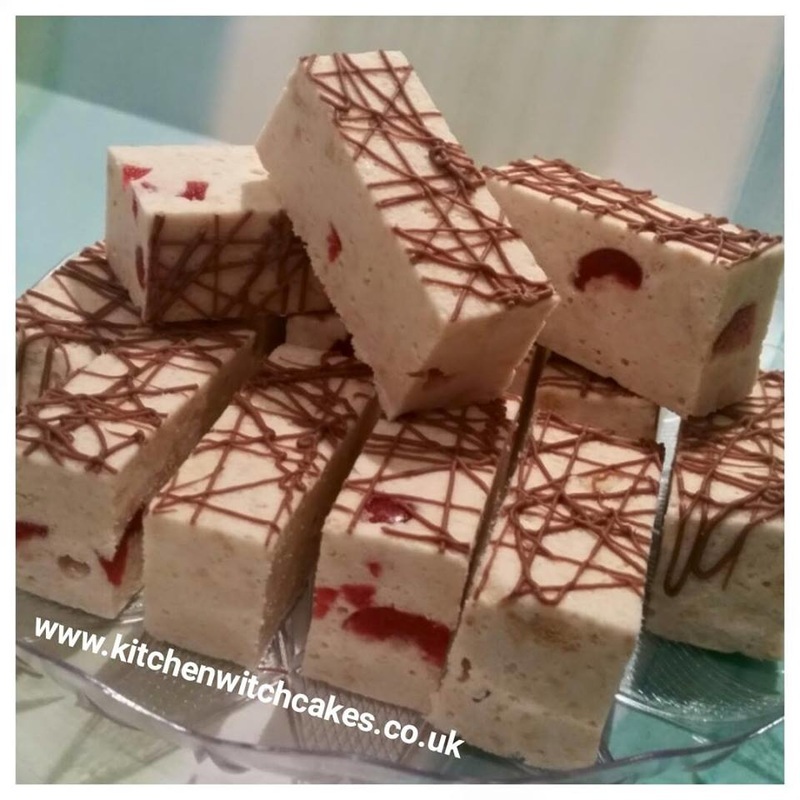 Perfect for bake sales, parties or just as something in the cupboard to nibble as a treat. One of my favourite purchases in the last few months is definitely my Cassie Brown Airbrush. 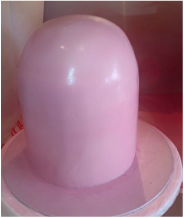 Once covered the first step was to mix up a nice pale pink for the cake itself as all the detail was going to be in white and dark pink. 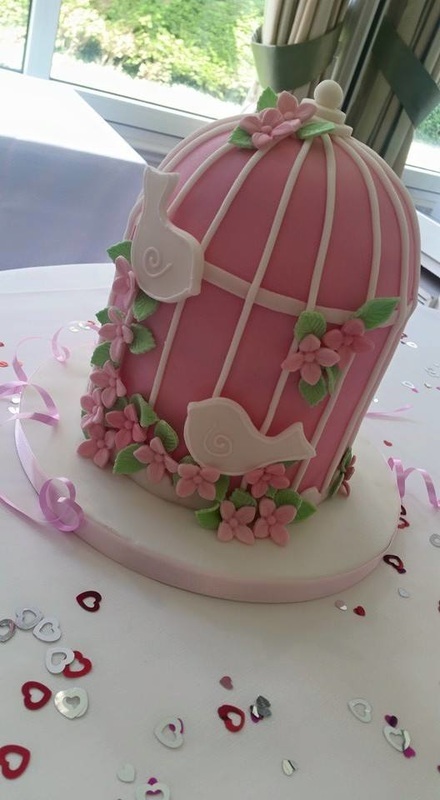 While the cake was then drying I was able to start on the birds, flowers and leaves that would decorate the cage. 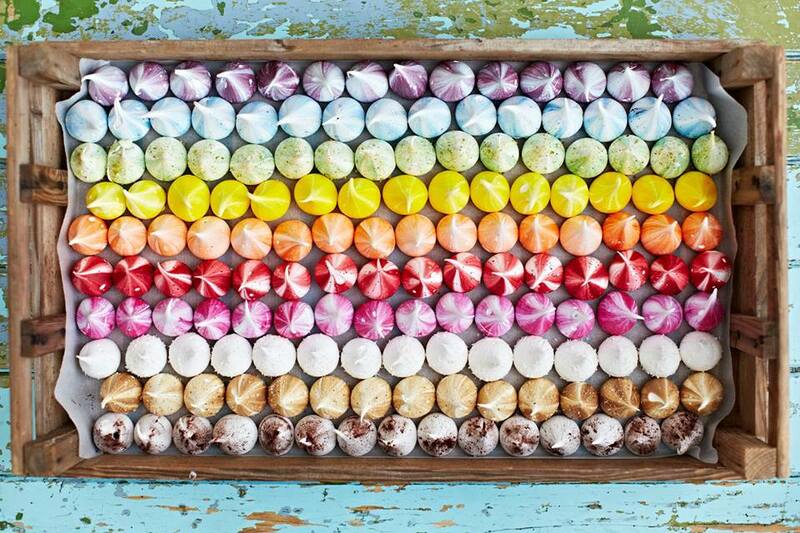 These were made out of flowerpaste so they would set quickly and hold a shape. 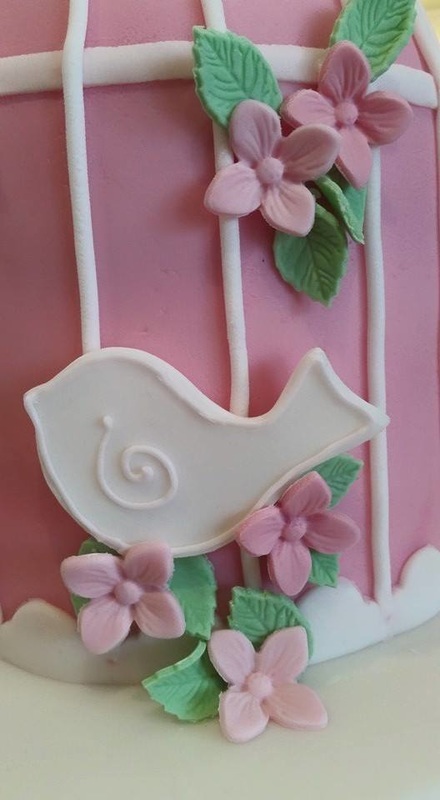 The birds were also outlined in pink royal icing to give a little detail. 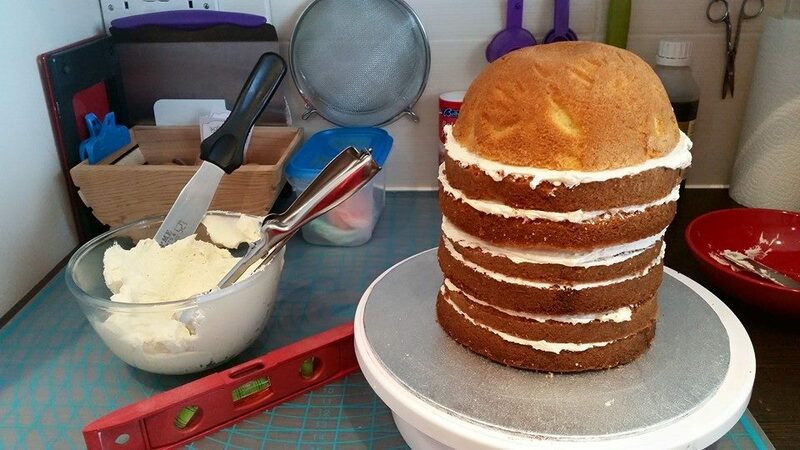 Once the cake had dried it was placed on the prepared board and it was time to start assembling the final design. 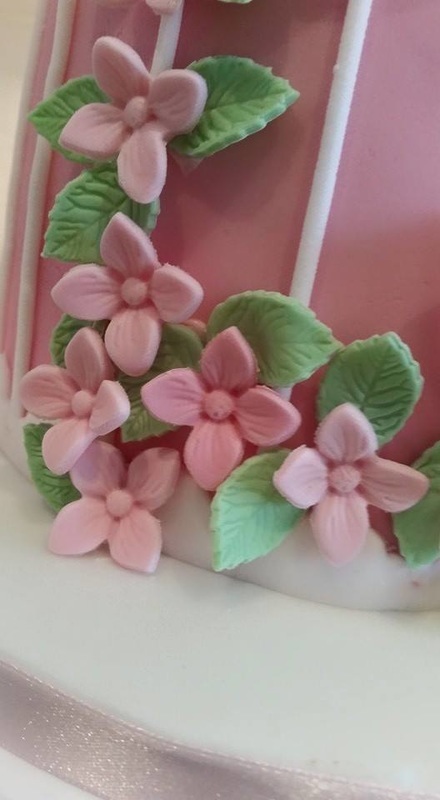 I used a frill border cutter to get the pattern around the base, and a ribbon roller to get the straight ribbon of fondant that went around the top. Another essential purchase for the next stage of creating the cage is a clay extruder, the one I prefer for ease of use is the Makin Professional Clay Extruder. 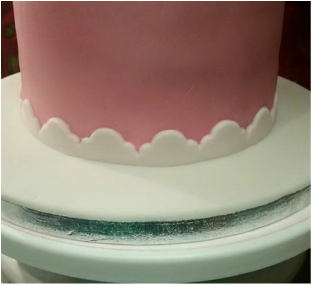 once i had created the lengths I needed (could get 3 before having to refill the device), i would use a water brush to wet the line they would follow, and starting at the bottom frill in one of the gaps, gently press the fondant to stick it to the cake, once at the top just trim off the excess, it doesn't need to be perfect as the top will be covered up. 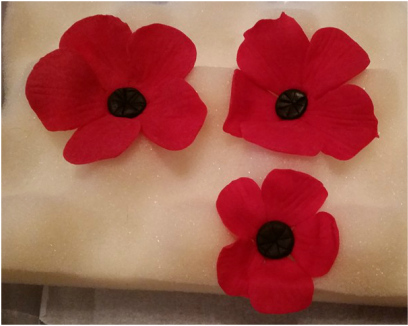 The top decoration was made by cutting out three circles in flower paste, so they set hard, these were stuck together with the smallest being rolled into a ball. 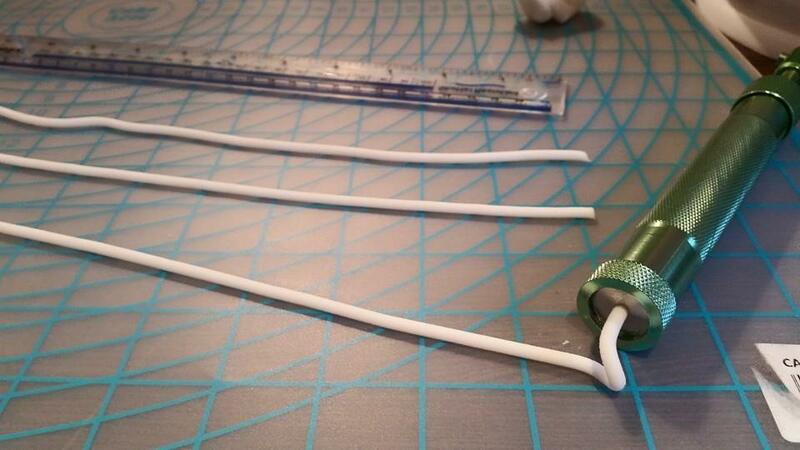 You could also create a loop as a "handle", there are a lot of great ideas on Google and Pinterest. 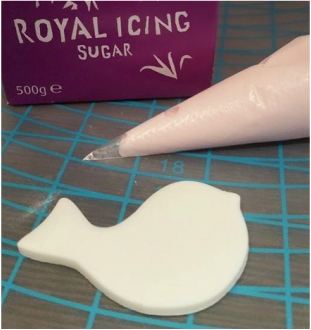 All the decorations were stuck with Royal icing that was made earlier to decorate the birds. 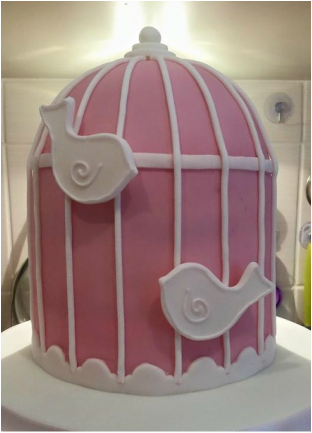 The birds were positioned and stuck to the bars of the cage...you may need to place them at a height where you can position a glass or something underneath to support them temporarily while the royal icing sets. 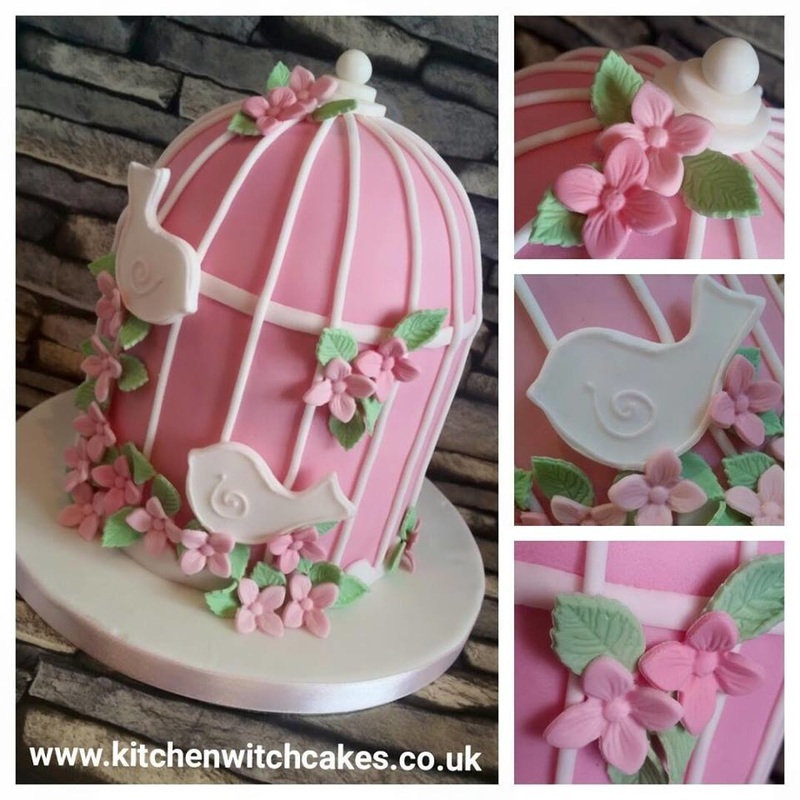 The rest of the flowers and leaves were then placed onto the cake, beneath the birds in particular to give them a perch, and then in key places to enhance the overall effect. 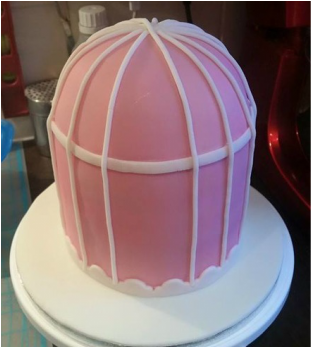 With the tables being set with birdcage centerpieces this gave me the perfect opportunity to try out a cake design I have been wanting to do for a long time...a Birdcage. I did the usual trawl through Google and Pinterest for ideas and elements I wanted to include on my design (lots of beautiful cakes online to pull inspiration from) and I got to work. I line the pyrex bowl with strips of baking paper to help with the removal once baked. All tins are also sprayed with Dr Oetker Cake Release Spray. Mmmm smells delicious in my kitchen. Once cooled and levelled it was time to start filling and crumbcoating. 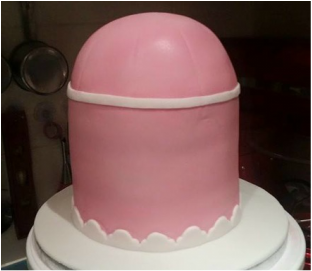 Things to remember: when filling is to use a slightly thicker buttercream around the edge as a "Dam" to prevent the filling squeezing out under the weight of the cake when you try to cover it later on. 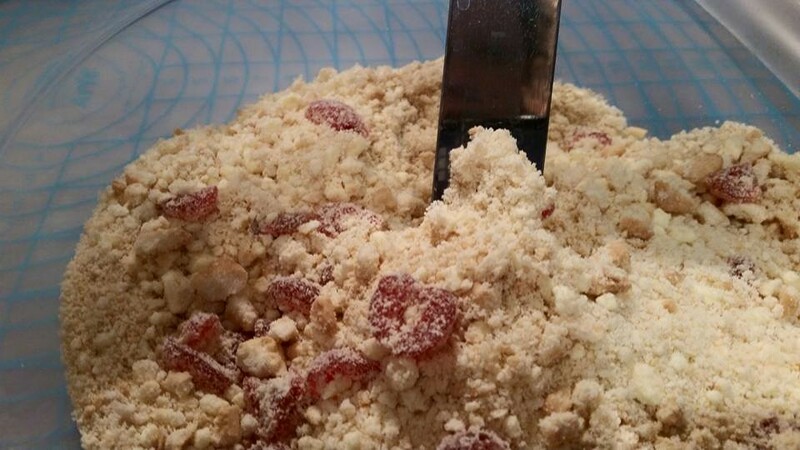 Onto the first crumbcoat layer...this fills any gaps, and as the name suggests catches any crumbs from the cakes. It then get put in the fridge for 30-40 mins to set a little before the second buttercream layer is applied. Being a very tall cake i decided to try and cover this one in one go instead of in 2 sections (top and sides)....and I was VERY happy with my CAKE ARTE mat I had purchased at Cake International. 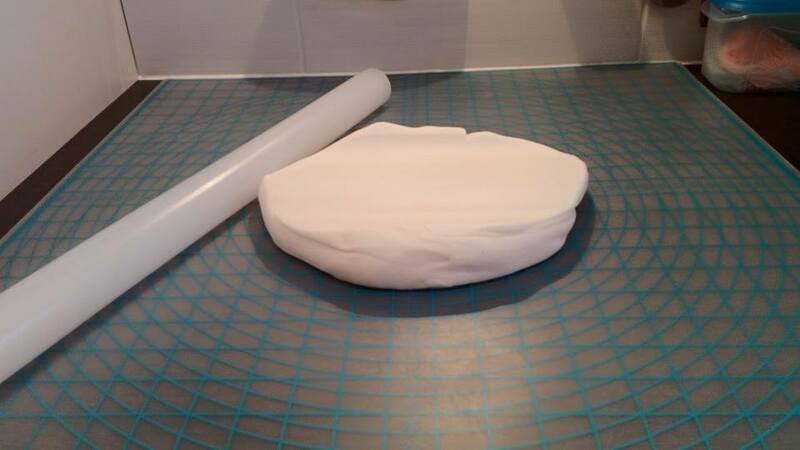 This mat allowed me to flip the rolled fondant over the cake and then peel the mat away, instead of trying to lift the fondant off the mat to cover...less chance of it tearing. 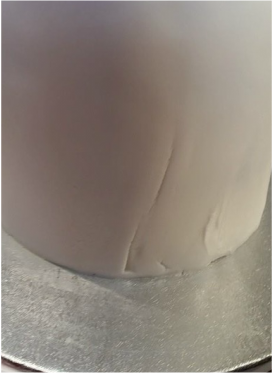 For those of you who haven't used "gunge" before what you have to do is mix a little of your excess fondant with water til it creates a paste, then like a builder smooth it over any tears/creases/gaps that may have been caused while covering your cake.